Canadian duo Japandroids have announced their first Australian shows in three years. Re-emerging after years of radio silence, the pair will play intimate shows in Sydney and Melbourne on top of already announced appearances at Meredith Festival, Fairgrounds Festival and Disconnect Festival. Japandroids last toured in Australia in 2013, travelling with Laneway Festival in support of their second album Celebration Rock. They finished up their world tour and then basically disappeared off the face of the earth. Until now. Australia will be one of the first countries to see the band now that they’re back on the scene, hopefully with some new music to share. What’s more, only a few hundred tickets will be available for their Aussie headline shows, so they’re likely to be pretty sweaty affairs. The band’s Aussie tour poster (below) features pictures taken inside the studio, so we can only hope that means they have been busy working on what would be their first record in four years. Check out the Aussie tour dates, below. 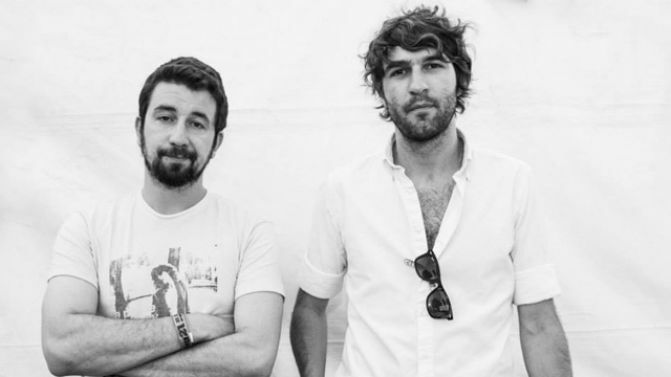 UPDATE 16/11/16: Japandroids have announced a new Wollongong show. Details below.